TurboXS releases the first full factory replacement re-circulating bypass valve designed specifically for the Mazdaspeed 3 & 6. It offers a direct bolt on capability without the hassle of universal adapter kits. Each flange is beefy to keep it from warping and allowing you to have the best mating surface possible. Exceptional performance gains are found by holding boost higher to redline and allowing your turbocharger to operate more efficiently. 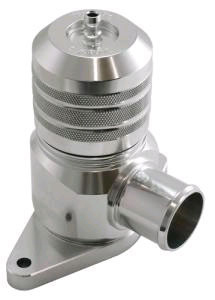 If pure function is over noise is your goal this is the valve you need.